Who Would EVER Hire You With a Scarf On Your Head? Well, one of the Top 100 Most Influential Realtors in the country, that's who. When I started wearing hijab, this was one of the biggest concerns my grandma had... that I would never be able to find a job. When I decided to wear it permanently, I was working for La-Z-Boy, Inc. in Interactive Marketing. When my boss found out that I was Muslim she was a little standoffish and I could tell she wasn't very comfortable with it, but you obviously can't fire someone because they started wearing hijab. This is Amurica. Then, four months later, I decided I wanted a new job. The first job I interviewed for hired me. In hijab. I was shocked! I had absolutely no problem finding a job. Later, I got to know my boss better and found out he was gay, we had an African American realtor working with us, several gay employees, and now he has someone who is Hispanic. He didn't care about what was on my head - or what religion I followed - or what my nationality was. He cared that I was a very hard worker, that I had nearly a 4.0 GPA, that I had experience. And, he himself was different. So, how could he discriminate against me when other people had discriminated against him before? 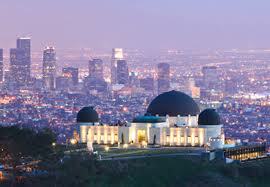 A year after working for that company, I wanted to move to Los Angeles. This was the first time I had a problem with my hijab involving work. In Los Angeles, although people are much more accepting, companies care about how you look. People are very looks-conscious here. So I interviewed for one job, they loved my experience, they loved my grades, they loved my personality... until the Skype interview. Yes, I know my name is American, and yes I know they had the right to be a little surprised when they saw my name and thought white girl, and a hijabi came onto the screen. But, what I didn't think was that they would use it against me. I did great in my interviews - answered all of their questions well - and could tell that I was impressing them. I'm not just saying that, I really mean it. I would tell you if I bombed the interview. Surprise! The next day I found out they didn't want to hire me "for that office". I called the recruiter and asked her how I can better myself in my upcoming interviews - what did I do wrong? She said I was amazing, that there was absolutely nothing I could have said or done better and that, they "just decided to go in another direction" - but, they offered me positions at other locations! I didn't buy it. Boston might be less looks conscious of my hijab, but I didn't want to move to Boston. But, what can I do? I'm sure they could come up with another reason if I really challenged them on it, so I had to keep searching. The next interview I did was with a white guy - working for his agency - and although he too was impressed with me, he "decided to go another direction" as well. I knew my next interview was going to be with a woman, so I started wondering - for only a SPLIT SECOND - if I should take off my hijab for an interview? Then put it back on when I showed up the first day to work. After thinking about it more, however, I realized she really needed to know and that I wear hijab - It could affect her business. And, Allah (swt) will provide for me with whatever job He thinks is best for me. I wear hijab for Him. Not so that I can make money. Her closing words to me were "so, I love you! and, I HAVE TO HAVE YOU ON MY TEAM!" I suggest that if you decide to wear hijab, and want to look for a job, you have confidence in your hijab. If they have an issue about it, then it's their loss. Despite all of the struggles with finding a job here in Los Angeles, Allah (swt) provided me with the most interesting, and highest position of all those I interviewed for and was not accepted. My persistence and my strength in faith ended up helping me to get further ahead then I had even originally planned. We make plans, and Allah makes better ones. He is the BEST of Planners. He is the Best of Providers.